Huge Veterans' Day Sale At Kohl's! GREAT Savings On Toys! You are here: Home / Great Deals / Christmas Deals / Huge Veterans’ Day Sale At Kohl’s! GREAT Savings On Toys! Huge Veterans’ Day Sale At Kohl’s! GREAT Savings On Toys! Head over to Kohls.com for the Huge Veterans’ Day Sale! Get GREAT Savings On Toys!! 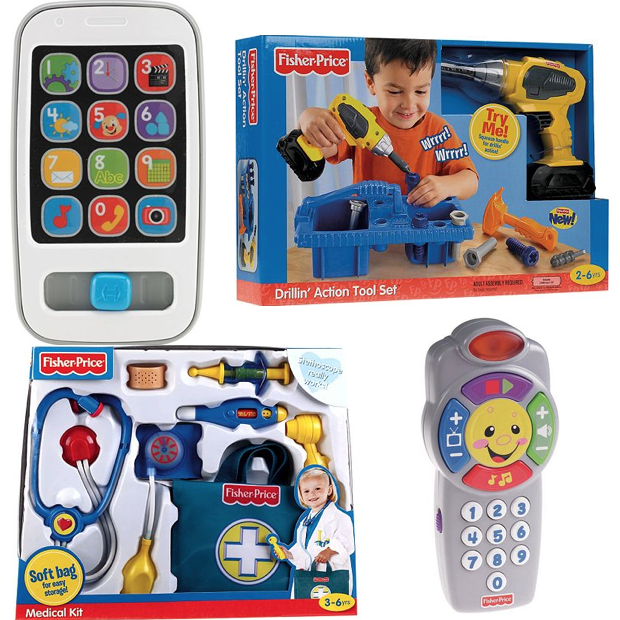 These 4 toys would normally be about $82 but they are on sale today for just $50.76. But you can do even better than that! Get them for a little over $6 each! MATTEL10 to get you $10 Off your Fisher-Price, Barbie or Hot Wheels toy purchase of $50 or more, Expires 11/12/15. VETERANS10 to get you $10 Off your purchase of $25 or more, Expires 11/11/15. PUMPKIN to get you 15% Off your purchase, Expires 11/14/15. Final Price: $24.62 – opt to pick up in store to skip shipping charges! Final Price: $21.53 shipped FREE! These Prices make for some happy holidays! Click here to check out more Great Deals!